The cold weather is coming, and a great dinner is soup like this Chicken Pot Pie Soup makes the perfect meal. A soup that is full of flavor, hearty enough that it will fill you and goes great with a warm roll is the perfect cold night meal. 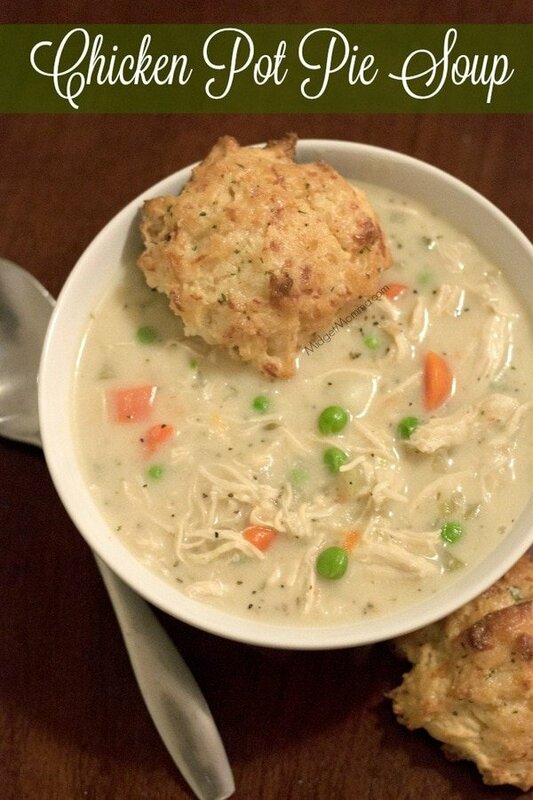 This Chicken Pot Pie Soup fits all of those, and it is amazingly fairly simple to make. Looking for more amazing soup recipes? Don’t miss these! Fill a medium stock pot with water and bring your chicken breast to a boil. Reduce the heat to medium high and cook for about 20- 30 minutes. Let the chicken cool than shred it to bite size pieces. In a medium stock pot, melt 1 1/2 Tbsp butter over medium-high heat. Add in onion, carrot and celery and saute 3 minutes. Add chicken broth, potatoes, parsley, thyme, rosemary, bay leaf and season with salt and pepper to taste. Bring soup to a boil, then reduce heat to medium, cover with lid, and allow to cook. Making sure you stirring occasionally. Once the potatoes are tender, about 15 – 25 minutes. Reduce heat to low and stir in chicken and peas. Remove the thyme twigs and bay leaf. In a medium saucepan set over medium heat, melt remaining 4 Tbsp butter. Stir in flour and cook mixture, stirring constantly for 1 1/2 minutes. While whisking very slowly pour in milk and whisk vigorously to smooth lumps. Season with salt and pepper to taste. Bring mixture to a boil over medium high heat while stirring constantly, then remove from heat and stir in cream. Stir the cream mixture into the soup pot. Serve with your favorite drop biscuits. 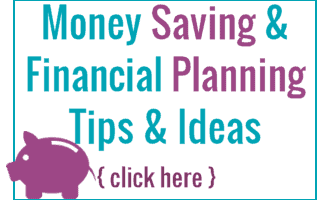 9 SmartPoints on Weight Watchers FreeStyle Plan if you use fat free milk. Looking for Weight Watchers Recipes? Check these out! I am having problems finding recipes with directions and as for the Cheddar cheese biscuits I didn’t find the recipe at all. Frustrating.